Having gone through a difficult season in 2015, mainly due to a lack of power, but as well as several chassis deficiencies that the team found out quickly, but did not resolve through the season, Red Bull Racing focused to get its problems sorted, even though that eventually resulted in the team continuing with Renault power. 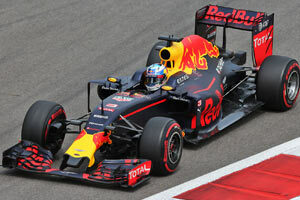 The team had repeatedly criticised the French engine supplier for the engine's lack of reliability and performance, and steered towards a split, but a lack of options forced Red Bull Racing to stick with Renault. Still, a commercial partnership with Tag Heuer enabled the team to rebrand its Renault engines, allowing the engine supplier to focus more openly on its own team after buying the troubled Lotus F1 Team. Chassis wise, the RB12 is an evolution of the RB11, even though the team, as is traditional for them, opted to stretch development until the last moment and only passed all mandatory crash tests shortly before the first winter test session at Circuit de Catalunya, Barcelona. As with the rest of the car, the front end retained the same design principles, with a steeply sloped nose and a focus on high underbody airflow. 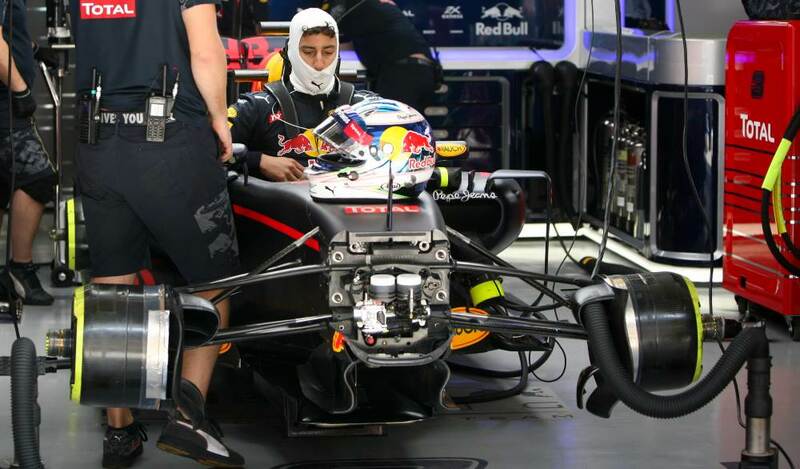 The RB12's nose is another iteration, being a tad bit shorter than on the RB11. The nose yet again incorporates an S-duct, catching laminar airflow from underneath the nose and guiding it to the upper surface through a duct running through the nose, just ahead of the internal front suspension components. The car also features revised brake ducts and blown front wheel axles in an attempt to better control the wake of the front wheels. Having experimented with them earlier on, many teams started opting for the blown wheel hubs in 2016. The sidepods have similarly undergone development progress, featuring a tighter rear end shape. Red Bull has always been a front runner in this aspect of car design, even though the Toro Rosso STR11 seemed to be even tighter. Performance wise, the car soon proved to be an agile midfield contender, partly because of Renault's improvements, but also because of the chassis characteristics. Mercedes and Ferrari engineers recognised early in the season that their GPS data showed the RB12 was capable of reaching cornering speeds beyond the possibilities of their own cars. This paid off at the Spanish Grand Prix, where both Mercedes collided, and Max Verstappen, replacing Kvyat, made the best off the opportunity to win the Grand Prix.